To upload an assessment or assignment to Gradebook, simply click the Add Assignment button. 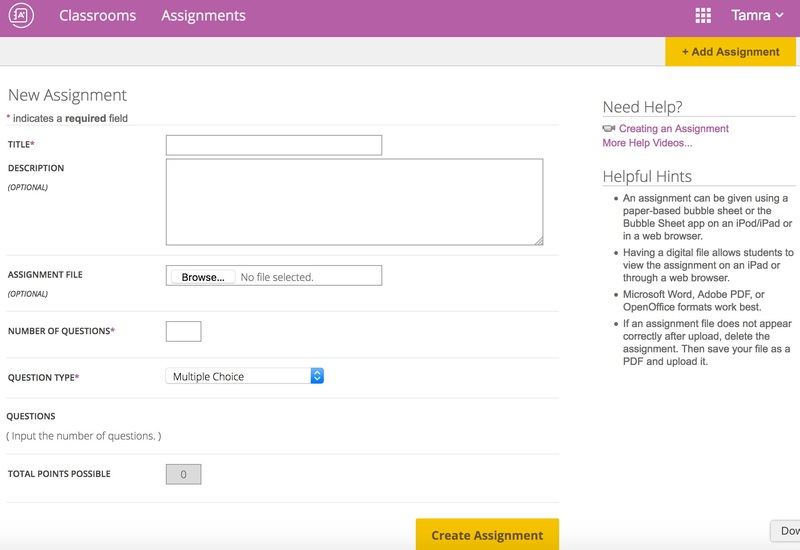 Next, enter a little information about your assignment and (optionally) upload the assignment file for viewing in either the browser based version of Gradebook located at gradebook.masteryconnect.com or on the free Gradebook app (for iPad). To upload an assignment file to Gradebook, click Choose File to open a standard browser explorer window, allowing you to guide Gradebook to the location of your locally saved document. After you have selected your assignment, click Open. 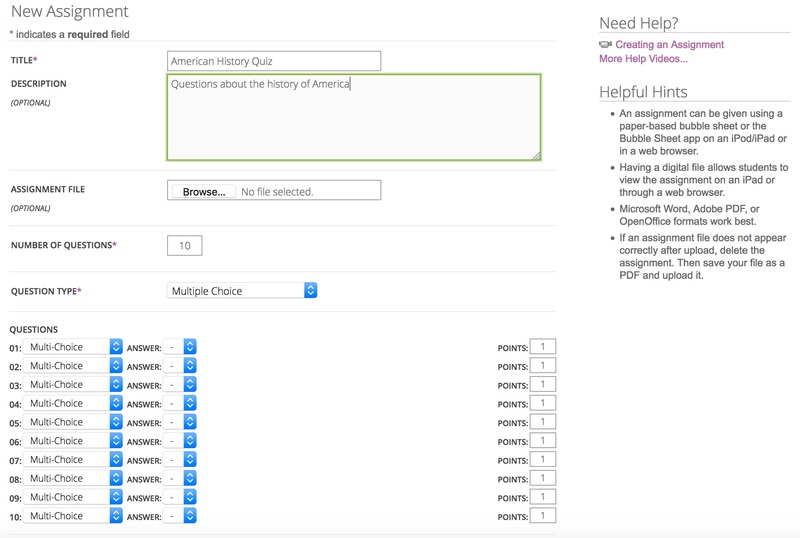 The last step is to select your Question Type and then choose the correct answers for the assignment using the drop-down menus. Another way to input your answer key is to simply choose Create Assignment and then the first time you deliver the assessment, fill out a printed bubble sheet with the correct answers and scan them with your assessment camera.